If you are a psychology major, you are probably already aware that those who go on to earn a graduate degree generally find more job opportunities and higher pay. More jobs and more money sound great, but the reality is that earning a graduate degree in psychology simply isn’t the right choice for everyone. Grad studies can be expensive and time-consuming, so it is important to determine if you really need or even want to devote yourself to earning a master’s or doctorate in psychology. If you want to teach psychology at a community college or university, then you will need to get a graduate degree first. Some schools require only a master’s degree to become an instructor, but most specify a Ph.D. or Psy.D. in Psychology. You should also note that college professors don’t just teach their subject; they also conduct research, advise students, and serve on university committees. For many specialty areas in psychology, a graduate degree is simply a must. For example, if you want to become a licensed clinical psychologist you will need to earn a doctorate degree in clinical psychology, complete a supervised residency, and pass state licensing exams. Other specialty areas including industrial-organizational psychology, health psychology, and forensic psychology generally require at least a master’s degree for most positions. Bachelor’s degrees in psychology offer great training for a variety of entry-level jobs, but the fact is that you will probably need at least a master’s degree if you are looking to step into a more advanced role. Job options in psychology-related fields tend to be more limited with a bachelor’s degree in psychology. If you are interested in moving beyond some of the entry-level positions that are available in the field, earning a graduate degree is a great way to advance your career and enjoy greater job opportunities. 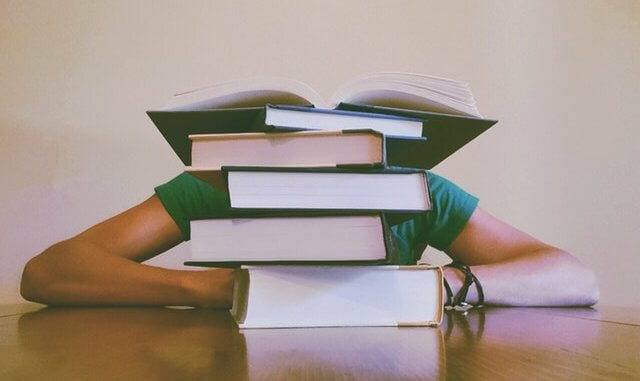 Some students might find that undergraduate studies just do not offer enough time and opportunity to really study a specific subject in depth. Remember that biopsychology class you took that left you fired-up with curiosity about how the brain works? Now just imagine if you had the time and resources to really investigate the topic and become an expert in that area. If you have an unquenchable desire to study a specific topic in much greater depth, earning a graduate degree can allow you the freedom to pursue your research interests. For example, if you are fascinated by human memory or how the brain works, graduate studies will allow you explore these topics in much greater depth. Sure you are good at your job now, but do you ever feel like you could do even better if you just had the expertise? If you are eager to gain new skills and know-how in your current career, graduate training is an option that you might want to explore. By learning more about your chosen field, you might find that you will be better able to perform your job and might even give you the opportunity to advance in your present position. Graduate school is certainly not for everyone, but it can be a good choice as long as you do your research. Spend some time considering what you will gain from getting a graduate degree in psychology. Will it make you more knowledgeable? Will it help you achieve your career goals? If a graduate degree in psychology is something that will help you achieve your goals, make a plan for how you can gain admission to a program and earn your degree. Forgetting: Could This Be One of the Most Common Causes? Does Where You Live Influence Your Personality Type?